Clever, Crafty, Cookin' Mama: Too Hot Crock Pot! 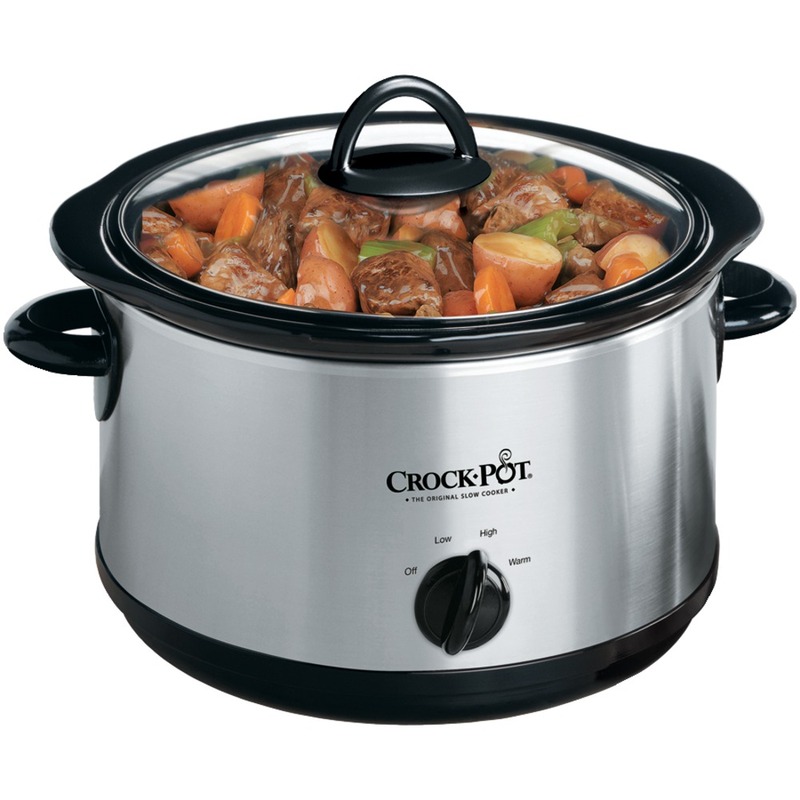 I was mid-stew a month or so ago, when my trusty Rival, low-tech, one giant knobbed crock pot up and died. It was a sad day. She was a good and faithful kitchen companion who dutifully cooked soups, stews and sauces for the family for years on end. This picture below doesn't even do her justice, after 10 years of use she was not as shiny or streamlined, and she only had three settings: Off, Low, and High. "Warm" at the time was only a newfangled notion of the future. Well after we had a touching goodbye ceremony (bagpipes were played, doves were released followed by a moment of silence), I started thinking ahead to what would replace her. I got pretty excited. Oo, maybe I could get a fancy new high-tech digital one with features like switches to warm when the cooking cycle is over, or a built in meat thermometer! Hubby came through with a new one for my birthday. It had all the bells and whistles! My new found joy was quickly turned into a bit of worry, as some of my friends on facebook warned that I might not like the new crock pots so much, because they cook things too hot. Well that weekend I decided to make my crock pot spaghetti sauce that simmers slow all day. I started it on high (as I normally do, with the idea of turning it down to low shortly after). Well within a few hours, the whole thing was boiling. Not just bubbling merrily, but a HARD boil. I turned it down to the "low" setting. It was STILL boiling. Alright, I guess I'll turn it down to the warm setting. Guess what? Still boiling. Um... what the heck was going on??!! Off I went to the googles to find out. Turns out the government recently changed the rules. Yes, they decided the American public (with 40 years of crock pottery experience) were entirely too stupid on their own to slow cook food all day. They decided to raise the temperature of all settings by 20-40º on all new pots in the last 5 years. The high setting is now close to 300º! The low temp is around 250º and even the warm setting is over 212º. I know this because that is the temperature water boils. Before the low temp was under 200º, probably closer to 180º. So in essence, they have made the notion of LOW and SLOW cooking null and void. 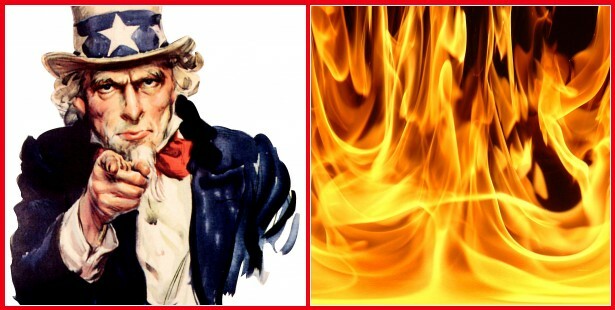 If meat boils it changes the molecular structure, making it tough and stringy. You no longer can "set it and forget it", by putting a roast in the morning and come back and dinner time and have it ready and waiting for you. With these new crocks all the liquid would be burned off and your meat will be tough and dried out. You have to sit and baby sit your meal all day, adjusting temps, adding water. No way would you leave and go to work, you might come home to the whole thing boiled over all over the counter or maybe it could even catch on fire! Yikes. I was so upset by this. It boiled the living snarf out of my sauce, which was done in half the time, by the way. I decided there must be something else out there! I did some on line research, turns out a LOT of people are ticked off about the higher temp pots. Old recipes don't work any more, food is overdone and you can no longer cook low and slow, the whole POINT of a crock pot. Well I just found the answer (cue angel music and heavenly light here)! It's not called a crock pot technically, but you can use it that way. 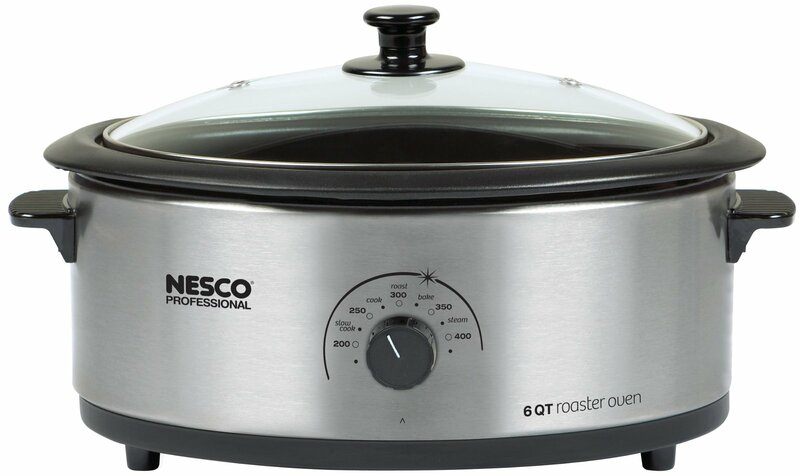 It's a Nesco professional 6qt roaster oven. It works just like a crock pot but here's the best part, you can control the temp, from 125º to 400º!! Hallelujah. Now I've found something that works just like my old trusty crock pot. Set it and forget it here I come! Low and slow, remember me? I'm BACK! PS. By the way, it also can roast, bake, stew, etc. It is also non-stick and has a removable cookwell for easy cleaning. So I went right out and packaged up the other "HOT" pot and took it right back to the store. We should all boycott these new pots that simply do not work correctly. Too HOT means you can cook low and slow. Find a pot where you can control the temperature and you will be golden. Wait, you will be yummy and tender and delicious and falling off the bone, and your children will sing your praises and actually clean their plates, and your hubby will write sonnets in your honor, and your in-laws will take the kids for the weekend, and you will live happily ever after. Amen. I hate the new crockpot, I gave my old one to my daughter and bought a new one for me. The whole point of having one is because I work long hours and it's nice to have food ready ( but not over done, like with the new ones). I'm thinking about getting one of these roasters. Now that it's been a while since your post, do you like it for slow cooking? What temp do you use for all day cooking? Yes. I have been using the roaster and am so happy with it. It's like having my old crockpot back. If I am going to be gone all day I will keep it just below boiling (around 200) which I believe the old crock pots the "low" was between 180 and 200. I have made my famous crock pot spaghetti, stew, soups, and beef stroganoff in it and it's that low and slow we love. I just talked my sister in law into getting one too! She was tired of everything burning. Plus, the bonus of a roasting oven is you can roast, simmer, brown, and even bake in them (though I've yet to try that). Thanks for the question. I'm so glad I found an alternative to the too hot crock pots. Thanks for the tip, Jenn. I've been dreading the day when my trusty crock-pot (Purchased brand-new at a church rummage sale for $4.) bites it, but you have given me hope. There will be a future after all! How long do you think it will be before the nanny state catches on and bans these roasters? So glad I found your post about this. I bought one of these roaster ovens, and I love it!! Got some chili going right now, and I know it won't be done for a good 8 hours...as it should be! I've also used it to roast potatoes, roast a bunch of root vegetables and bake bread. I too am glad I found this post after "googling" "too hot crock pot". I pulled out my new one to use for ham and beans in the last couple of days and put on low expecting all to be well when I returned from work. Hubby finished a job early and at 1PM was home and called to say beans were done and boiling. Used again the next day for beef stew and same deal - done in 4 hours, not 8 or 10. Will definitely look for temperature controlled roaster. Do you recommend the porcelain or non stick cookwell? Hi Joan Wilfong. I would do the ceramic if I had to do it again. I noticed that my non stick after a few years is starting to peel off. I was thinking I could buy a replacement for just the center container, but I don't think they sell them that way. If I buy a new one, I will get ceramic for sure. Happy to find this post, but curious about the temperature options. YOu said it can be set from 125 degrees to 400, but the knob on the picture looks like it only has settings for 175-400. I assume you just turn it below the 175 setting incrementally to go even lower than it shows? I am interested in what Momma K asked. If the picture is showing the lowest is 200 does it still rotate lower? I have crocked for 40 years and replacing my crocks as they croaked I find they just are too hot. Nothing can cook all day as needed. The FDA should leave these things alone. Actually, I haven't used my crocks (4 qt round and 6 qt oval) in several years. They just stay stowed away because things really do burn and boil dry in the newer ones. I had this same exact rant! I can't tell you how happy I am to see a solution! I had this same rant! After years of trying new garbage "slow" cookers I'm beyond happy to find this solution! And I thought it was just me. I have had two crock pots since my old green Rival died. I just made chili again today on the keep warm setting. After going out for about three hours, I came home to it boiling away and burning to the sides. I want my old green Rival pot back! Thanks for this information!